Cozy hostel with an amazing crew, that makes you feel home, and almost every night they gather a bunch of people to go out with . 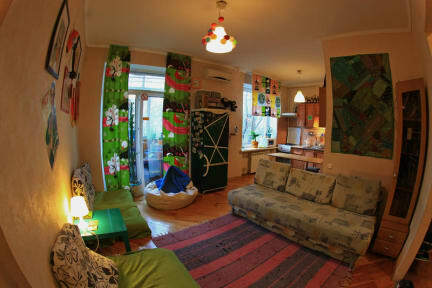 The position is quite central, not far away from the train station, and you can reach downtown Kiev in 25 minutes walking. 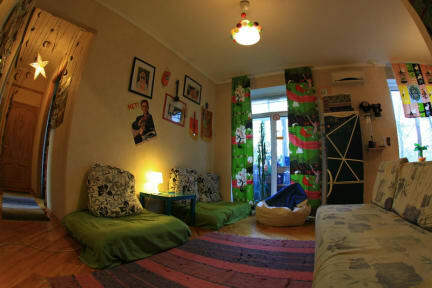 One of the best hostel I've ever stayed at, definetly recommended!